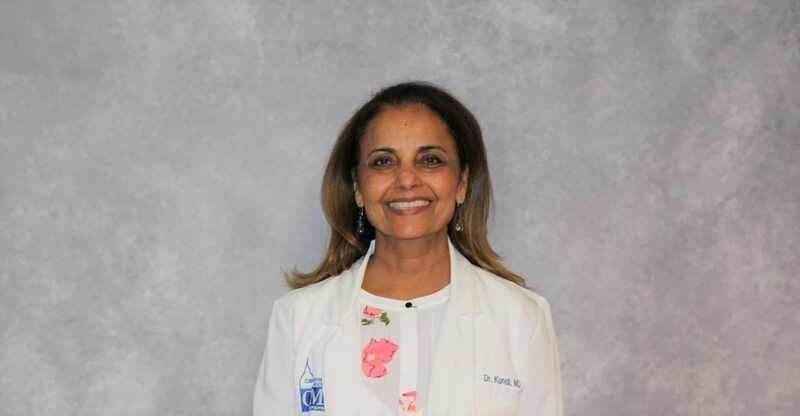 Dr. Kundi has been in practice since 1980 and her areas of professional interest are preventive medicine, women’s health, and all aspects of adult medicine. In her personal time she enjoys spending time with her family, exercising, reading, music, and gardening. Something everyone should know about her: She is an internist by training and worked as an E.R. physician in a teaching hospital in Canada for three years. After relocating to Michigan, she was hired to set up the urgent care at health Central (BCN). After doing that for 10 years she went into primary care at BCN and did that for the last 14 ½ years. In 2006, she was voted, “Best Mid-Michigan Physician” by her BCN patients. She was involved in multiple committees related to governance at BCN, leadership, streamlining work flow, peer review and utilization management.